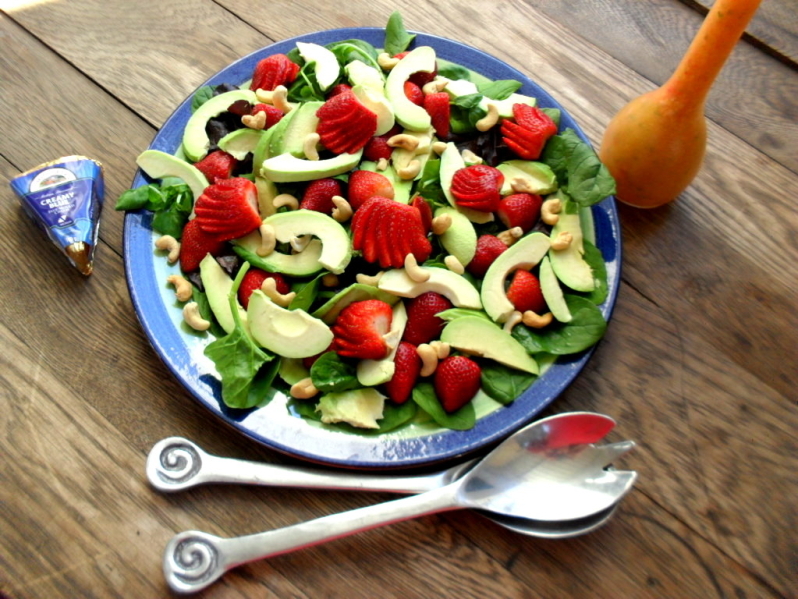 This strawberry and avocado salad with strawberry vinaigrette was created in anticipation of the rugby game between the Springboks and Japan in England. 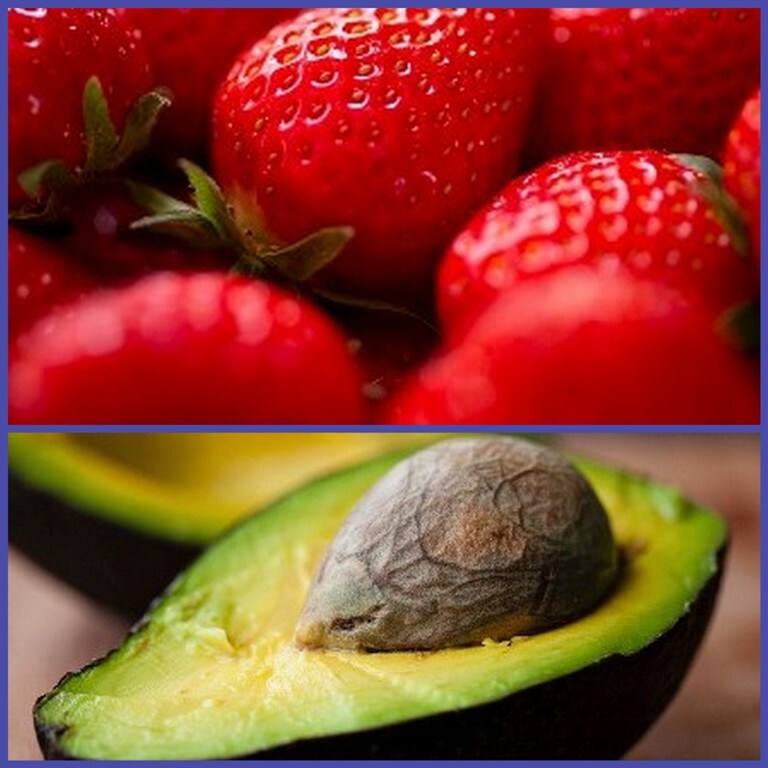 The green of the avocado represented the Springboks and the red of the strawberries represented Japan. The red strawberries dominated the salad and so did Japan in the rugby match. Sadly our team lost! Of course we had a braai, whilst watching the rugby. This salad went very well with the meat that was done on the coals. We’re having wonderful weather in Cape Town at the moment and this was our first al fresco dinner of the season. With strawberries available in abundance and avocadoes also still available I thought it apt to create this colourful salad. 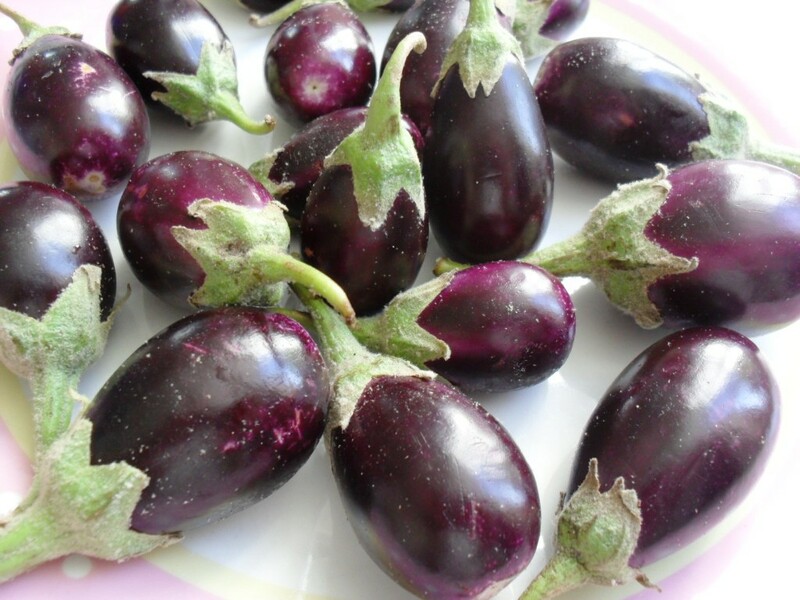 It can be served as a starter, a side dish or as a vegetarian main meal. If served as mains double-up the nuts and cheese. If served as a side dish the salad serves 6 to 8 people and it will serve 4 people as a main dish. You can either add blue cheese or feta to the salad. I prefer blue cheese but since I was not sure whether everyone likes blue cheese, I served it separately. It turned out that everyone at the braai loved blue cheese, so it was crumbled on top. I doubt whether I will create something in blue and green when our Boks plays against Samoa in our next Rugby World Cup game since I was told my salad was the reason for our loss!  I sincerely hope that our team will be more successful with the next match. Enjoy the games and remember to have fun in the kitchen! Place everything in a food processor and process. Place in the fridge. Place the salad leaves on a serving tray. Halve and/or fan the strawberries. Peel the avocadoes, remove the pip and slice. Drizzle with the lemon juice. 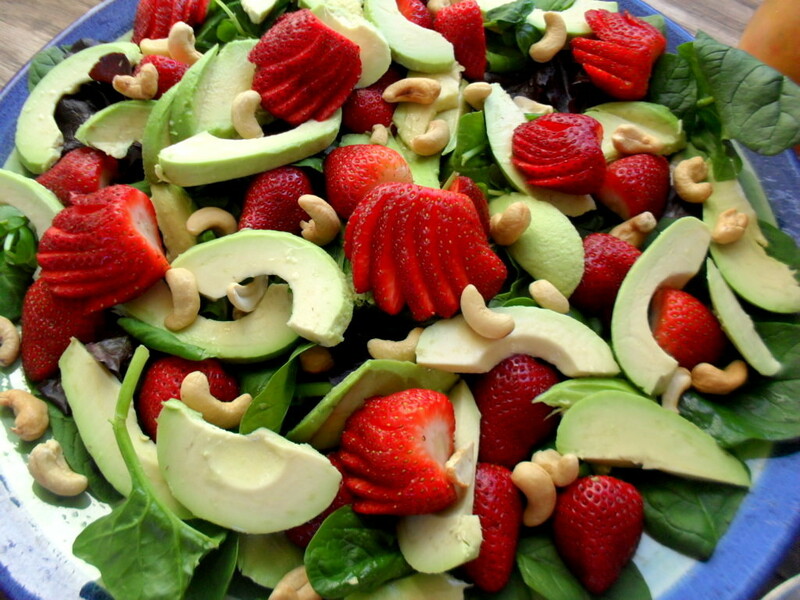 Place the strawberries and avocado slices onto the lettuce and top with the crumbled cheese. Top with the cashew nuts, just before serving. 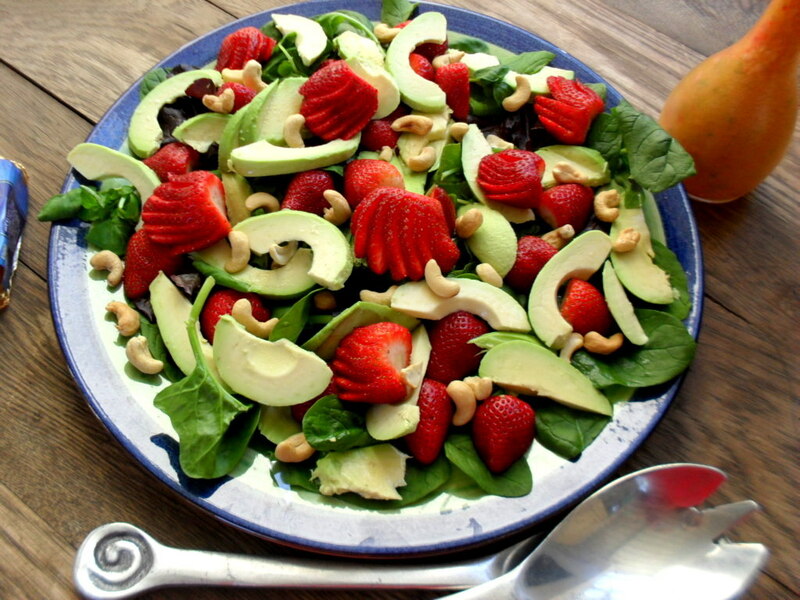 Serve, drizzled with the strawberry vinaigrette. 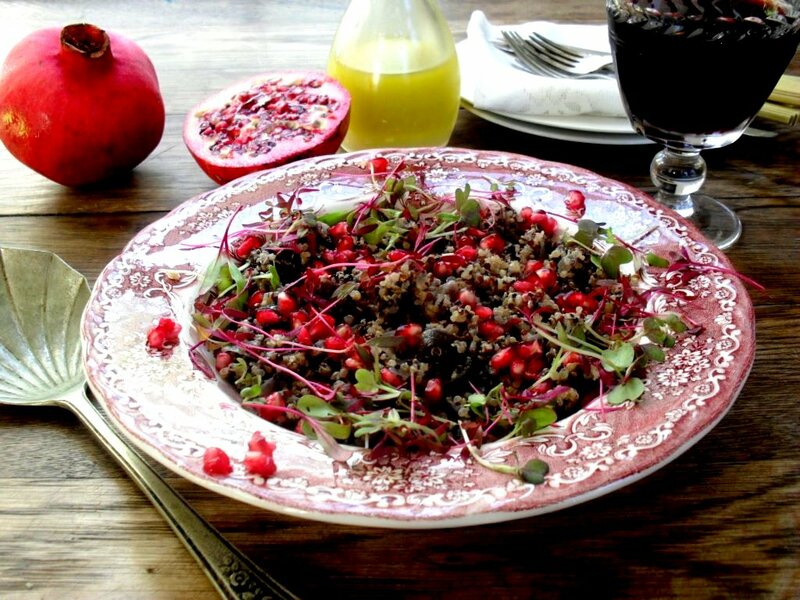 You won’t be sorry – it is a great salad! What a lovely salad! Thanks, Zirkie! I am definitely going to make it tonight! Thanks Michelle! It is a pleasure! I made the salad and it was amazing! Thanks for yet another delicious recipe! Menu, please? Hi Michelle, I am so glad that you enjoyed it! I will try my best to post menus again! This is definitely my kind of salad. Fabulous combination of fresh flavours. Have a wonderful weekend Zirkie. Thanks, Mandy. I hope you will also have a great weekend!